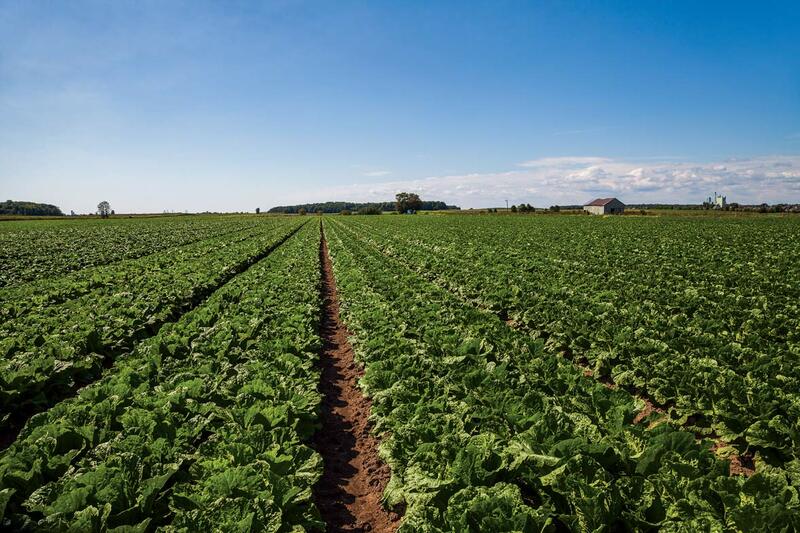 Working together as a group with an agronomics and marketing company has opened new doors for seven Quebec vegetable producers. Since 2007, they’ve been growing Napa cabbage and a selection of Asian vegetables and marketing them in Quebec and across the United States under the Organzo label. Pascal and Philippe Forest and their neighbor, Simon Leblanc, have been part of the group since the beginning. They say the arrangement has improved their bottom lines by allowing them to cut out the middleman and capture premium prices. Organzo is the brainchild of Julie Nichols. The Beloeil, Quebec, agronomist had been providing agronomic advice to Forest and other small and mid-size horticultural growers in the Saint Lawrence Valley since the turn of the century. She saw how frustrated her clients were because their scale condemned them to working through brokers and wholesalers to sell their products. Since they had little leverage, they had to take whatever price they were offered for their produce. So Nichols came up with an idea of a new way for them to work together to grow and market vegetables. The producers concentrate on what they do best, growing vegetables, while Nichols provides the field scouting and agronomic advice needed to help maximize yields and maintain high quality standards. She also coordinates the group’s sales, including the shipping and custom brokerage services required to get their products to their customers. Forest’s family started growing cruciferous vegetables in Quebec’s Lanaudière region over sixty years ago, he says. Working with Organzo required them to give up a bit of independence, but it’s worked out well for them. Weather risk. It’s also working well for their customers, Nichols says. Being able to source identical quality produce, grown in multiple locations, from a single source, reduces their weather risk. This has attracted the attention of wholesalers and retailers from as far away as California. The group is currently reaching out to producers in South America. Their goal is to establish a production base in South America to supply their customers with products year-round.